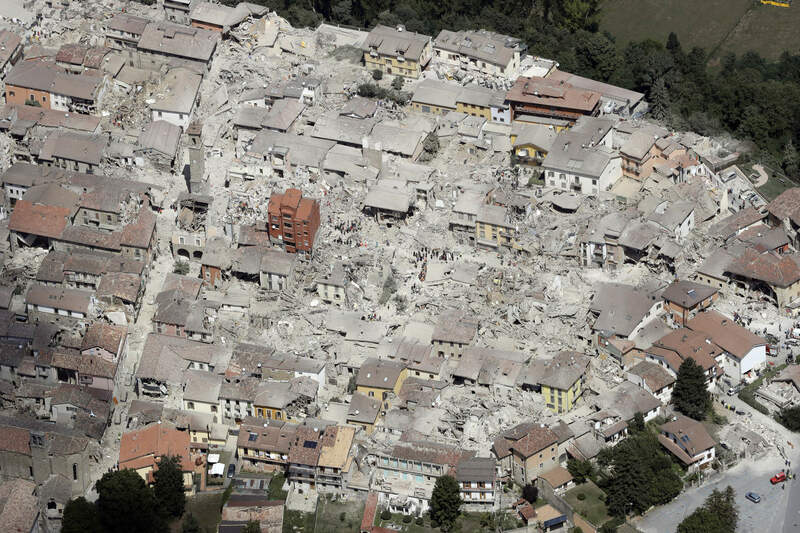 Updated, 1:42 p.m. | You’ve likely seen some of the wrenching closeup imagery emerging after a shallow 6.2-magnitude earthquake shattered ancient villages in the Appenine mountains 80 miles northeast of Rome on August 24, killing 241 people at last count. But sometimes a wide view can be as sobering. This aerial view of Amatrice, the medieval town that saw the worst destruction and death toll, says much about the continuing peril facing thousands of other residents of this region. Around the Apennine range, relentless tectonic forces are made more deadly by the populace’s dogged resistance to modernity and love of history and place. It was no accident that a newer, sturdy building was the exception to the destruction. The prognosis, sadly, is more destruction and death. This is a very different situation than, say, in China’s Sichuan province, where tens of thousands died in a devastating 2008 earthquake that shattered thousands of vulnerable buildings, but people clamored for change — particularly for safer schools. 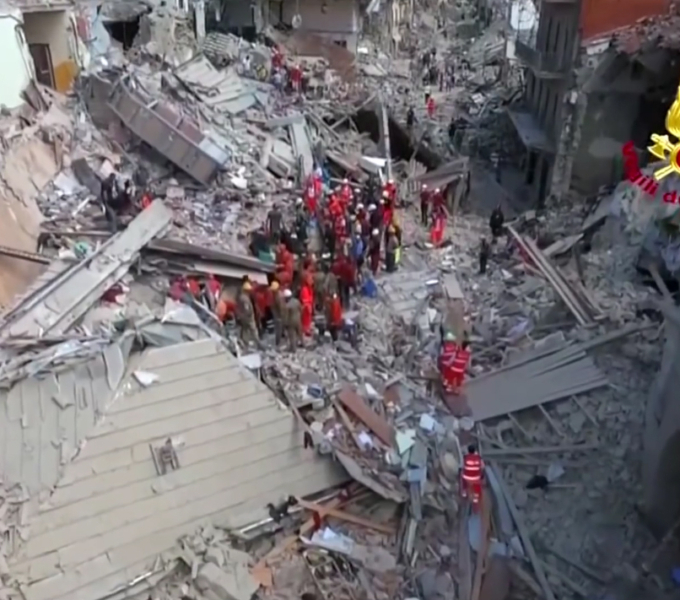 Why Italy is different was explained to me in a Skype conversation I had last night with Marco Cossu, a structural engineer and president of the Italian branch of the earthquake engineering consultancy Miyamoto International. The firm has a team that will be helping authorities and nonprofit groups assess damage and plan any reconstruction. 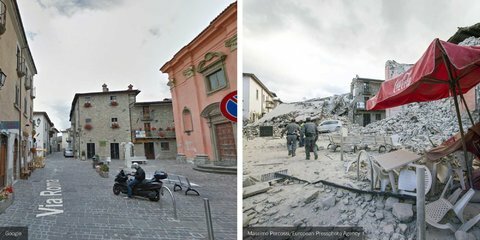 Given the similarly deadly earthquake in nearby L’Aquila in 2009and the region’s shaky history, with 30,000 killed in Avezanno in 1915, I asked Cossu if there was any move to reconsider lifestyles in the face of the clear dangers. Could people live in newer apartments outside of town and commute into their shops or the like? He spoke of resistance rooted in the very thing that makes rural Italy so special. He and a team of engineers are heading to Amatrice tomorrow. It struck me years ago that Italians’ view and appreciation of place differs from that of most Americans. Here we can’t tear things down fast enough in our rush to build something bigger and better. Italians don’t tear things down; they add on. Homes and villages dating back as far as medieval times are cherished, growing organically over the years with another story here, another addition there, new buildings attached to old buildings. The result is a tourist’s dream and an engineer’s nightmare. It’s hard enough to retrofit a relatively modern masonry building; I’m not sure what strategies even exist for retrofitting a medieval village. Nepal is similar but different: effective retrofitting is difficult if not impossible, but cultural issues take a distant back seat to resource limitations. All of which argues strongly for the importance of building codes and proper construction in the first place. 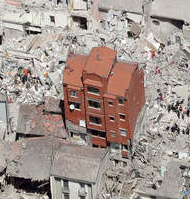 It is a whole lot easier to make a building earthquake-safe in the first place than to shore it up after it’s built.